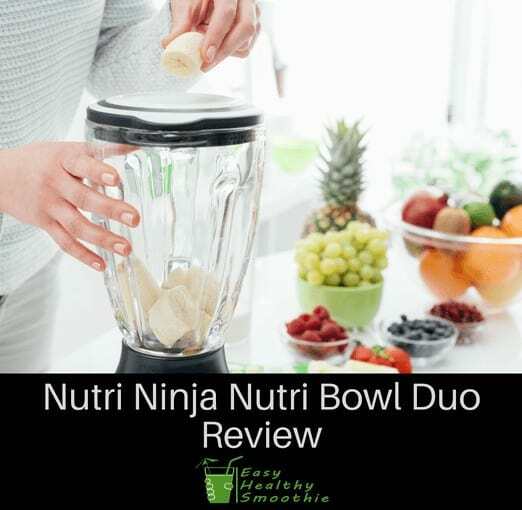 The Nutri Ninja and bowl duo is a great device for those who want to make smoothies and use the bowl for mixing or blending a multitude of food types. It offers plenty of options for getting the results you need and allows you to save money and space over multiple appliances for the same tasks. Many customers have found it to be extremely useful. The Nutri Ninja is similar to other Ninja models we've seen, but it does have a few more buttons. For the most part, it's a pretty simple device to use. It offers the ability to pulse along with other options for extraction, smoothies, mixing dough, chopping or providing a fusion. Consequently, you'll have plenty of options for getting what you need from this device. It's able to handle just about anything you throw at it. Though it may not have as many accessories as other Ninja models out there, it's going to make healthy cooking a lot easier. Combining healthy ingredients will be simple and easy, and you'll have full control over the process, right down to the texture you're going for. The Pro-Extractor blades also ensure you get the most possible nutrition from the foods you've placed in the device. It's great for healthy living. Rather than chopping foods by hand or using an ordinary blender, this option gives you several devices in one, which is great for those who want to conserve storage space and funds. The powerful blades are able to handle fruit, nuts, vegetables and even ice, so you won't need to worry too much about their durability. Not the most powerful, but still very powerful. Built to last and includes a lifetime guarantee. A few more buttons than other models, but still pretty easy to use. A decent level of versatility, but not as many accessories as other options. Here's a good unboxing video I found on YouTube, that gives you a very detailed look on what you get when you buy the Nutri Ninja Nutri Bowl DUO. This is an ideal product for those who are looking to make healthy changes in their diet. It makes healthy smoothies and other foods much easier to make and is even easy to clean up after. If you want to, you can even choose to enjoy your smoothie right out of the included cup. It's also a perfect option for those looking to save money. It comes at an affordable price and offers numerous abilities in one device. Just make sure that what it's able to do will provide you the most value, as there are other Ninja models that offer slightly different abilities. Furthermore, this setup is ideal for those who want to save space and cut back on time spent prepping. It can really save time over chopping up fruits and vegetables individually. Because it's essentially two devices in one, it's also able to provide a more versatile experience. When you make the purchase, you'll get two 24-ounce Nutri Ninja cups, a dough blade, 2 spout lids, prep blades made for precision and the Nutri Bowl. 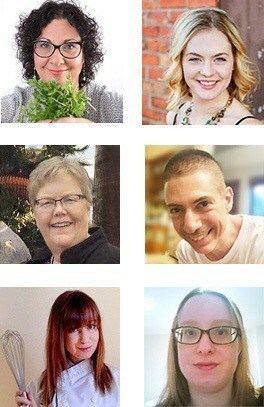 You'll also get the benefit of a recipe book with 75 recipes to help you get the most from the device. The Nutri Ninja itself provides plenty of power, ensuring all your tasks can be completed. With the help of the additions, you'll be able to make many different meals easily. It also offers a 1-year warranty period to ensure your investment is fully protected. There are some handy programs that come with the Nutri Ninja. These Auto-IQ programs make it simple to tell the device exactly what you want so that it can get to work without a lot of supervision. These include settings specifically for dough, smoothies, chopping, extracting, mixing and even an IQ-boost for when you need it. You'll also have access to the standard manual selections that many similar devices offer, including the start/stop button as well as the ability to use pulse for fine-tuning the texture of what you're making. Whether you need power, frozen or concentrated extractions, this machine has you covered. In addition, it's great for a wide variety of fusions including those that involve frozen foods, protein and sweet fusions. What that essentially means is you'll easily be able to make things like frozen yogurt, special burger patty recipes and cookies of all sorts. Overall, the Nutri Ninja and Nutri Bowl may not offer quite as much variety as some of the larger Ninja systems, but it can still get a lot done. Whether you need smoothies, cookies or ice cream, this powerful device has you covered; you really can't go wrong. While you're shopping, it is important to make sure you know exactly what you want the device to do. That way, you can get the model that will provide the best possible value to you for a price that works for your budget. Regardless of which you choose, a Ninja is almost always a fantastic option.